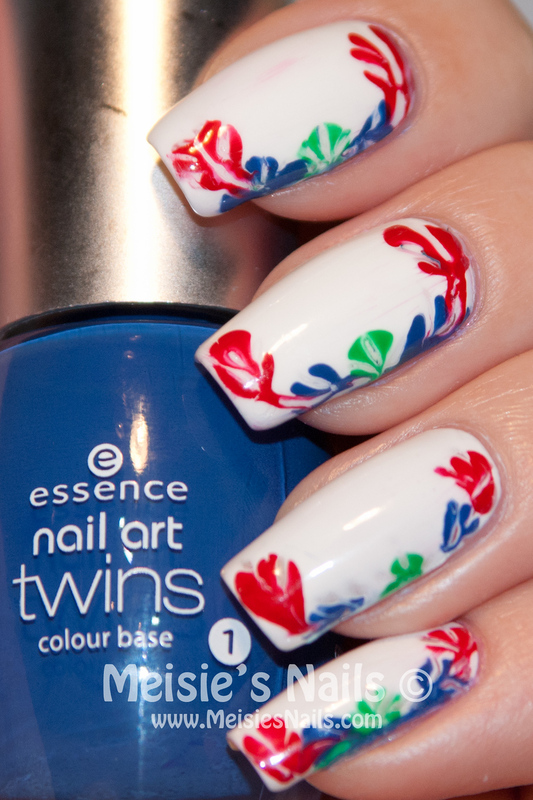 The vintage design I chose for this mani is based on a traditional pattern used on pottery here in the Netherlands, called Boerenbont. The pattern originated as a local craft made by farmers’ wives in the 19th century, hence the name boerenbont ("boer" means farmer and "bont" refers to multicolor). 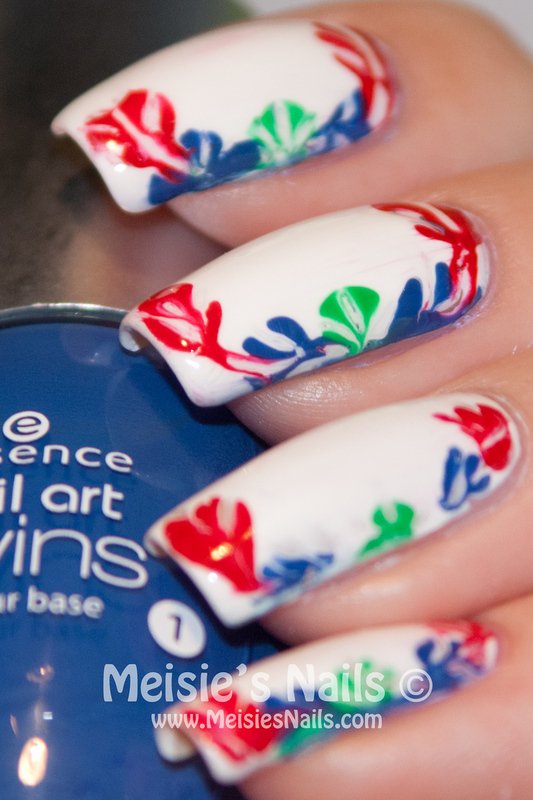 So here's my attempt at making a "boerenbont" pattern on my nails. I used the needle/dragging marble technique, which seemed pretty simple on tutorials I found on Youtube. But the truth is, I had to work really fast to get the dragging working on each blob of polish before the white base was dry. I guess it's only a matter of practice.